I think the [Apple-Facebook] relationship is very solid. We have great respect for them. I think we can do more with them. And so, just stay tuned on this one. They have their own way of doing things. But people can say that about us as well. But just because you have different views doesn’t mean you can’t work together. We want to provide customers simple, elegant ways to do the things they want to do. And Facebook has hundreds of millions of customers. And anyone with iPhone or iPad wants to have the best experience with Facebook on any device. So stay tuned. Originally, Apple’s music social network, Ping, was set to integrate Facebook but ditched last minute due to what Steve Jobs called ‘onerous terms’, in his response to Kara Swisher from AllThingsD back in September of 2010. 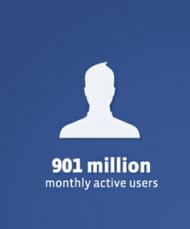 Facebook has over 900 million users and there are currently over 316 million iOS devices sold. Integration is inevitable and would only make sense for both Facebook and Apple. Expect to hear about it when WWDC kicks off on June 11th. For the Facebook addicts out there, how badly do you want integration into iOS?